We’ve walked through the desert, we have joyfully celebrated the Resurrection of our Lord, and we are back to Ordinary time. Did you learn anything on your journey this year? Today’s readings immediately brought to mind the adage, “When you know better, you do better.” How many times this has applied to me in my faith life, I cannot begin to count. I can understand why someone might need an abortion early on in a pregnancy, but I draw the line at late-term abortion. As soon as I get engaged, I want to make sure I am on the pill so I can control my cycles for my honeymoon. Yet here I am today: an NFP-practicing mother of four with hopes for more children if God allows. I am unapologetically and consistently pro-life from conception to natural death. People change, and they change because God allows it. He fills us with that grace and sends His Holy Spirit upon us. So go easy on yourself. 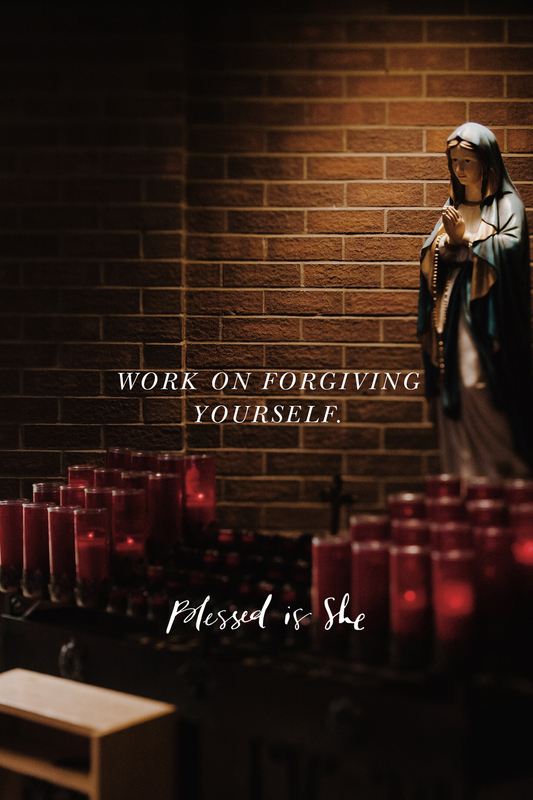 Get to Confession and work on forgiving yourself for past mistakes. Go easy on others. Allow them the space to change. And trust that your prayers for wayward friends and family members are heard. God is working in their hearts, so be faithful in your asking. Chances are someone buoyed you with prayers once, too. We are all different people than we were years ago. And we all have the ability to become better as the years continue. In fact, God commands it of us. Is there an area you are longing to change in but afraid and don’t know where to begin? Start with the Sacrament of Confession, then seek spiritual direction, and just talk to God in prayer! Let Him show you His heart. Jenna Hines has a teeny army of children: Ellen, Samuel, Theodore, and Maryn and is married to a bearded fellow named Mike. She is happiest when it is sunny outside and she has an embroidery needle in her hand. Her books are 30 Days to Calm: Create Your Own Anxiety Toolbox and Lazy Liturgical. You can find out more about her here.